For its third iteration as a Bay Area art fair, UNTITLED returns to San Francisco with the same “something for everyone” approach to its holdings. While FOG, the locally born, blue-chip fair carries hefty price tags, the works at UNTITLED are decidedly more approachable for the up-and-coming collector. Below, spanning lithographs and polaroids of major artists and full-bodied works by the more emerging and mid-career, are 10 of our favorite works that ring up at $10,000 or below. Like Zacarias, Kincaid looks to the power of fabric, often donated or found, as a means of generational storytelling. 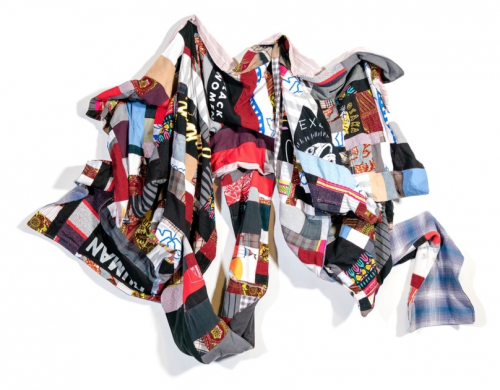 Paying homage to the black American familial tradition of quilting, he’s referred to this body of work as a “metaphysical collaboration with his ancestors,” reviving their legacy and applying it to our current place in time.